Now entering our twenty-second year (1996-2018) we are anticipating doing more and going further. No matter where you are in the US or abroad we invite you to join us. 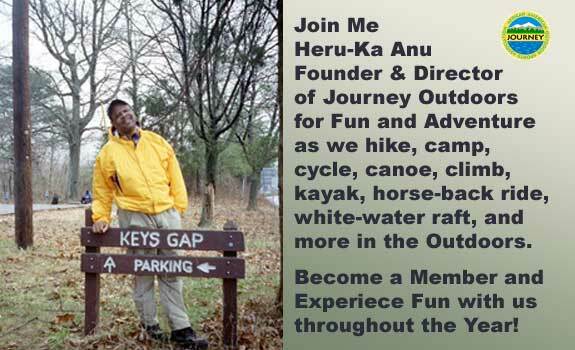 Welcome to Journey Outdoors (aka Journey: African American Outdoor Sports Association). We are launching anew in our new home of Portland Oregon. Though our home-base location has changed our objectives and interest has not. 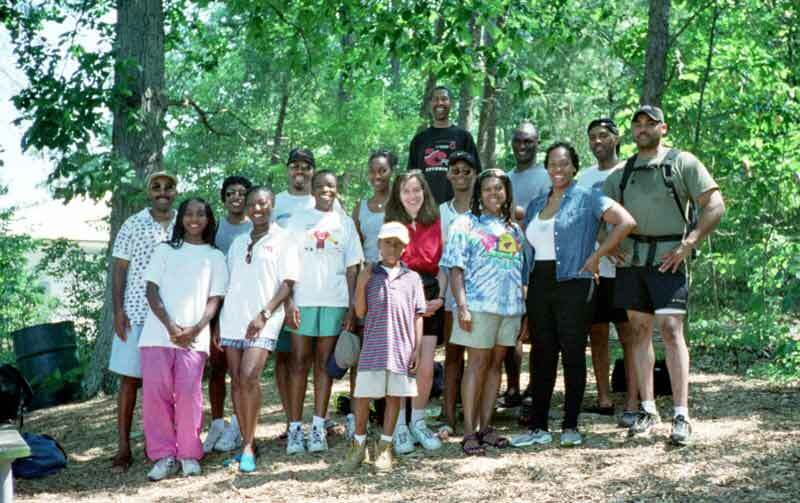 We are still committed to facilitating African American participation in all manner of outdoor recreation and adventures – including hiking, cycling (road, and off-road), canoeing, kayaking, rowing, climbing (rock and ice), skiing, tubing, rafting, backpack & camp, cycle & camp, canoe/kayak & camp, car-camping, and much more. Journey Outdoors (JO) offers activities for the beginner and the experienced throughout the year. If you’ve not been involved in outdoor activities because of knowledge and safety concerns then we are just the organization for you. If you happen to be looking for folks of similar interest and skill levels then we are just the organization for you too. 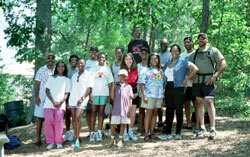 Journey Outdoors is a family-centered organization offering activities for all ages. Though most of our activities are geared for adults, do know that we periodically offer outings for children as young as five years young. We invite you to attend our monthly Open-House meetings, so that we can meet and greet, and where you can learn more about JO – see our schedule for dates, time, and location. Our membership is fee-based at $120.00 per year. When you join you get to attend our Members-Only events, and benefit from activities that are member-centered. We look forward to doing activities throughout the Northwest and beyond… Camping in the wilderness of the Tualitin Mountain Range, Hiking Forest Park, exploring the waterways of the Columbia and the Willamette Rivers… Journeying to wilds of Colorado, Utah, California, Washington… and regions yet unknown. Again, Welcome to Journey Outdoors. Hopefully you will join us in the outdoors. Join Journey Outdoors, become a Member and experience fun, adventure and excitement in the outdoors for the next twelve months. Visit new places, make new friends, stay in shape, learn something new - all while having fun. See our Schedule to know what an outstanding adventure awaits you. 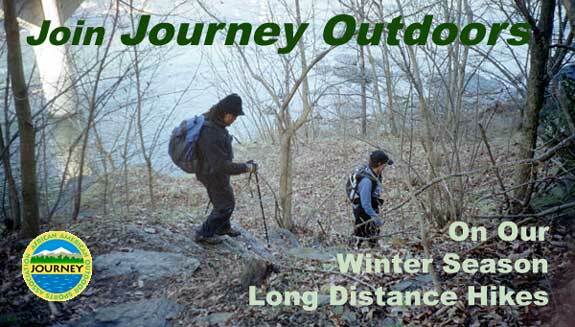 Join Journey Outdoors for our Long-Distance Day Hikes as we walk our way into shape. 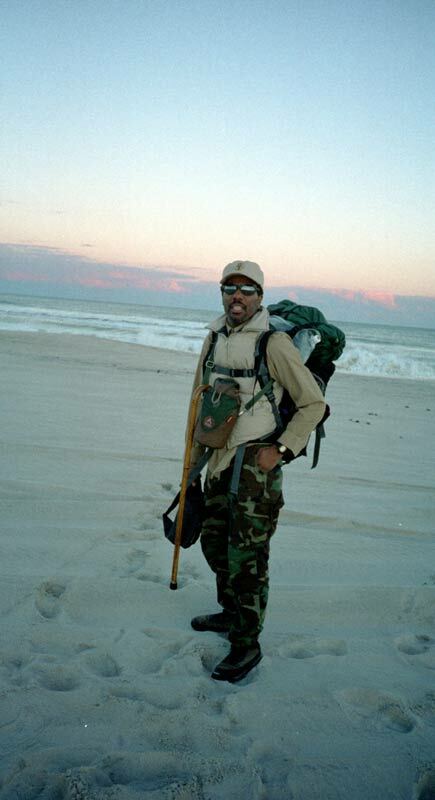 These hikes will cause you to increase your aerobic capacity, build your endurance, burn calories and ultimately lose weight. 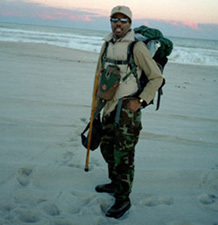 Long Distance Hiking is like power-walking in the woods; however with us you get to travel, enjoy much better scenery, and revel in the company of others. Become a member and walk your way into a healthier and happier you. The Winter Season is a great time to get outdoors and see nature in a different way...clearer skies, naked trees, snow-covered mountains and trails, and peace and quiet like you could never imagine. Taking the opportunity to sleep outdoors, in tents and sleeping bags, during the winter season is a heart warming experience you will never forget. And, while it may be cool-to-cold out we always manage to stay warm and comfortable. So, don't miss this season's opportunities...Join us for the adventure! Again, Welcome to Journey. 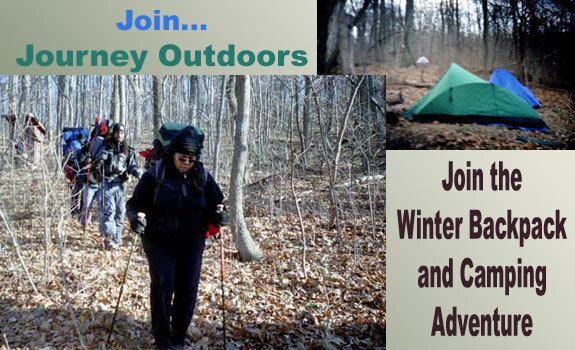 Hopefully you will join us in the outdoors.